HP Color LaserJet 2600n Printer Color laser printer offers affordable color printing, Up to 600 x 600 dpi for both black and color prints with 8 ppm speed for both black and color, High-speed USB 2.0/ Ethernet connectivity. 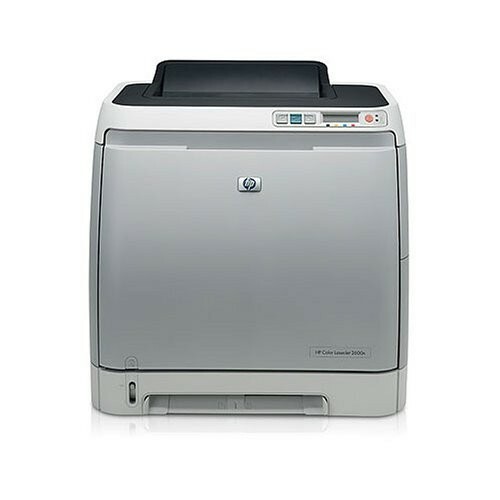 HP Color LaserJet 2600n Printer Color laser printer offers affordable color printing, Up to 600 x 600 dpi for both black and color prints with 8 ppm speed for both black and color, 250-sheet paper tray, with option to add second tray, 16-character front panel LCD display offers easy-to-access information, High-speed USB 2.0/ Ethernet connectivity. SAMSUNG LCD Screen NP550P5CL, second.